As a destination for high-end luxury, Dubai and Bentley are a match made in heaven. When many people think of Dubai, they instantly think of the prosperous lifestyle, endless sunny days, 5-star hotels, and wide open boulevards that are ideal for showcasing a luxury motor. At Paddock Rent A Car, we specialise in bringing customers the utmost in luxury and service. We have an ever-growing range of Bentley cars, which are guaranteed to turn heads when driving around the United Arab Emirates (UAE). This includes the 5-seater Bentley Bentayga SUV with 4 wheel drive and huge 600 bhp. The Bentley Mulsanne is also available for hire and features a twin turbo V8 engine, automatic gears, and ultra-premium exterior. Many of our tourist customers choose a Bentley to travel around Dubai in style and maximum comfort. There really is nothing quite like the opulent look and feel of a Bentley to view all the sights this fascinating city has to offer. Likewise, our business clients enjoy the upscale, professional look and feel only Bentley can project. 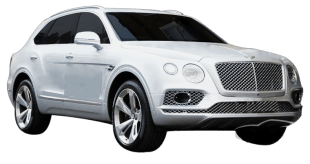 When selecting a Bentley for rent, first visit our website to view the price list, then select a car. After making an enquiry through our website, or telephoning us, we will respond to finalise the order process. After this, we can deliver the Bentley to a pre-arranged location or arrange for collection in our Dubai showroom. For Bentley rental in Dubai, look no further. At Paddock Rent A Car, we are able to offer the best possible prices to our loyal customers. This is because we own all our vehicles, which allows us to transfer savings into highly competitive prices. Additionally, we take great pride in the maintenance of all our cars for maximum safety and performance.